We’re celebrating Women’s History Month by highlighting these books about inspirational Latina women throughout history! There’s poetry, academic and general interest texts. In this stirring collection of personal essays and poetry, Méndez shares her story, writing about encounters with the medical establishment, experiences as an Afro Latina and longing for the life she expected but that eludes her. Ranging from Puerto Rico to Cuba and the United States, Virginia Sánchez-Korrol’s engaging novel for teens follows historical figures that were instrumental in the fight for self-determination in Puerto Rico. Addressing issues that remain relevant today—racism, women’s rights and Puerto Rico’s status—The Season of Rebels and Roses also sheds light on women’s involvement in their nations’ liberation—and their own. In this wide-ranging collection of 29 essays, internationally renowned Mexican novelist and essayist Carmen Boullosa explores issues that unite and separate Americans and Mexicans, from the nineteenth century to the present. This thought-provoking work delves into a variety of subjects, including Occupy Wall Street and Arizona’s political offensive against immigrants. Long a feminist, Boullosa also shares her perspective on women’s rights, musing on the repression of women artists and the lack of recognition for their work. Similarly, women who participated in wars and rebellions have been forgotten, and the author asserts that erasing them from our memory hurts us all. Containing the author’s original Spanish and Nicolás Kanellos’ English translation, these are absorbing reflections on Texas-Mexico border history, women’s issues, art and literature. In her second poetry collection, monsters—real and imagined—chase Houston Poet Laureate Gwendolyn Zepeda through late nights when she can’t sleep. Ghosts routinely visit in the early morning hours, but in spite of her fears, she dares to believe that she has escaped the devils that once followed her. Musings on family, remembrances of childhood games and encounters with strangers (and ants!) fill this clever collection in which Zepeda dares to express her individuality. Readers will appreciate this second poetry collection, which is deeply personal yet universal in its hopes and fears. Silent Dancing is a personal narrative made up of Judith Ortiz Cofer’s recollections of the bilingual-bicultural childhood which forged her personality as a writer and artist. The daughter of a Navy man, Ortiz Cofer was born in Puerto Rico and spent her childhood shuttling between the small island of her birth and New Jersey. 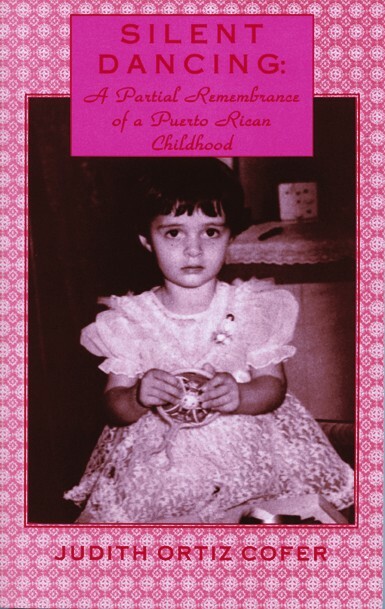 In fluid, clear, incisive prose, as well as in the poems she includes to highlight the major themes, Ortiz Cofer has added an important chapter to autobiography, Hispanic American Creativity and women’s literature. Silent Dancing has been awarded the 1991 PEN/Martha Albrand Special Citation for Nonficiton and has been selected for The New York Public Library’s 1991 Best Books for the Teen Age. As a teenager, long before Enriqueta Vasquez became a writer and activist, she wrote her first letter to complain against the injustice she saw around her while growing up in the Southwest. Why were Mexican Americans good enough to fight and die for their country but not good enough to be treated as equals at home? 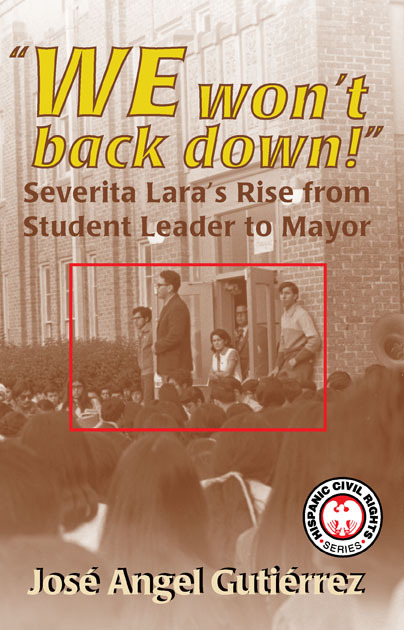 And so began Enriqueta Vasquez’s life-long fight for justice. 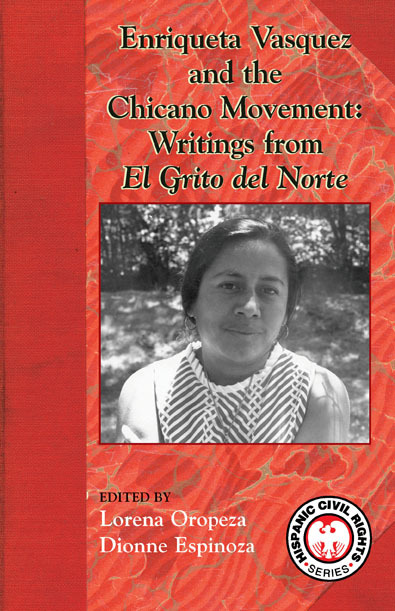 Highlighting the involvement of women in the Chicano Movement, this anthology combines for the first time in one volume the columns written by Enriqueta Vasquez from 1968-1972 for the path-breaking Chicano newspaper, El Grito del Norte. 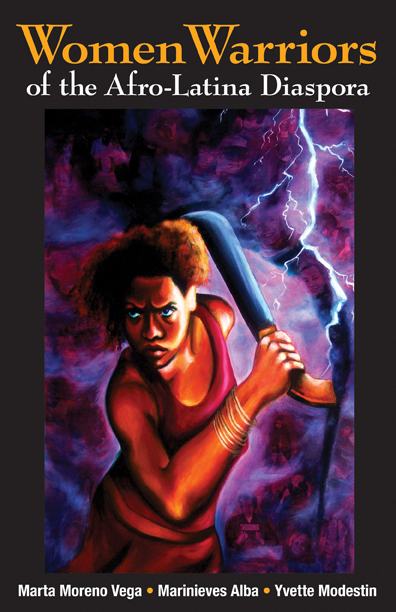 Hers is one of eleven essays and four poems included in this volume in which Latina women of African descent share their stories. The authors included are from all over Latin America—Brazil, the Dominican Republic, Haiti, Panama, Puerto Rico and Venezuela—and they write about the African diaspora and issues such as colonialism, oppression and disenfranchisement. On December 9, 1969, change was in the air. After weeks of petitioning for a hearing with the school board, students of Crystal City High and their parents descended on the superintendent’s office. The students had been threatened with suspension and even physical violence. Powerful members of the community had insisted they would fire the parents of students if they went in front of the school board, and still, they came. Finally, the school board removed the chairs in the gallery, and the parents and students stood until members of the school board fled to avoid the confrontation. This is the story of la cabezuda, Severita Lara, who has made an indelible imprint on American history. At the height of the Great Depression of the 1930s, the administration of U. S. President Franklin Roosevelt instituted a Federal Writers Project as part of the larger Works Progress Administration (WPA), massive national undertakings aimed at getting the nation back to work. New Mexico was among the states participating in this effort, and the project workers there included two women interviewers, Lou Sage Batchen and Annette Hesch Thorp, who in their work placed particular emphasis upon gathering Hispanic women’s stories, or cuentos. The two interviewed many native ancianos, gathering folktales as well as capturing narratives and gleaning vivid details of a way of life now long disappeared. Professors Tey Diana Rebolledo and María Teresa Márquez have combed through long-lost archives to recover these invaluable first-hand accounts, and have prefaced the whole with an introduction delving into some of the problematic cultural issues surrounding these records.